Men want love too! 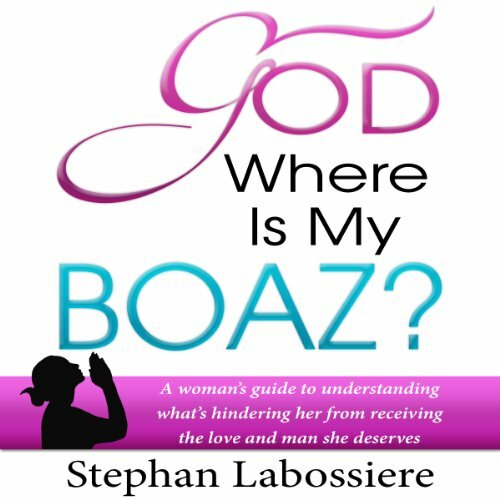 From the author of the best-selling book God Where Is My Boaz comes a book that will help men who truly desire love and a woman they can spend their life with. 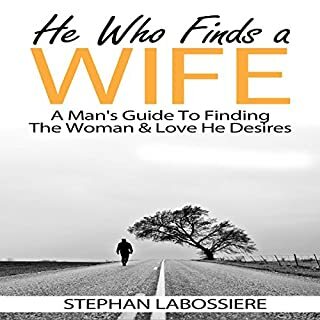 He Who Finds a Wife takes a practical and spiritual approach to guiding men on the path that will lead to their self-growth and an amazing relationship. There's enough talk about how we should stay positive, get out and stay out of toxic relationships, keep going, etc., but not enough actionable steps to take. Well, look no further. This book contains the affirmations necessary to retrain your mind and redirect your energy in the direction of your destiny. Listen to understand and meditate on these passages regularly, and watch everything about your life improve starting with your perspective. 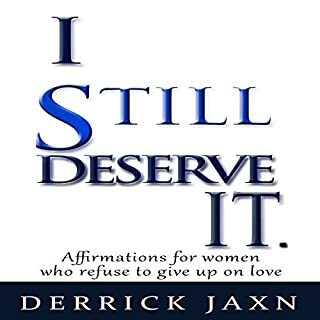 In I Still Want It, Derrick Jaxn delivers a life-changing collection of poems immersed in raw, passionate, but brave vulnerability. Dark truths of his lustful past, revelations during his ongoing battle with heartbreak, and empowering words of wisdom leave listeners with a renewed faith in a love they may have lost hope in finding. What is the meantime? According to author and inspirational speaker Iyanla Vanzant, being in the "meantime" means being in a state of limbo. Rather than wallow in confusion, Vanzant encourages you to use the meantime to prepare yourself for true love. The first order of business is to clean house. Room by room, Vanzant takes you through a metaphorical cleaning of the soul. This way, when love finally comes knocking on the front door, you'll have a clean house to welcome it into. house cleaning like never before! 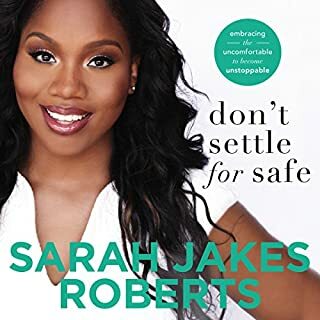 Like every girl, Sarah Jakes dreamed of a life full of love, laughter, and happy endings. But her dreams changed dramatically when she became pregnant at age 13. Sarah's captivating story, unflinchingly honest and deeply vulnerable, is a vivid reminder that God can turn even the deepest pain into His perfection. More than a memoir, Lost and Found offers hope and encouragement. Perhaps you, like Sarah, find yourself wandering the detours of life. Regardless of how lost you feel, you, too, can be found. It is exactly what is says it is! I always ask God to send me MY Boaz. Not realizing that I could be stopping myself from being with him or that I need to prepare and position myself to meet him. Lots of great insight as what I should do now after getting out of an abusive relationship. I'm encouraged to not give up on love and look at my last relationship as a lessons learned to prepare me for MY Boaz. I'm a man and this book is Great. 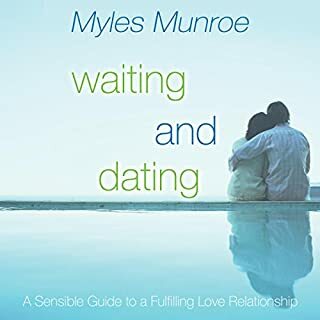 The book has good practical advice for a Christian female waiting on true love. This book gave me a new understanding on the disadvantages of a single woman in the church. For example, if I'm a man with a full time job, in good health, no kids, a home owner, and ready for marriage, it would probably happen in 3 months. The same can not be said if I was a Christian woman. After understanding the disadvantages, the book offers hope in the form of scriptures, simple steps, and motivation. 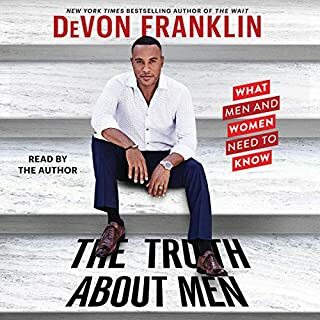 I'm a man and this book will help me, help others in this situation. Would you listen to God Where is My Boaz again? Why? I like the undertones of humor, the insights and the teaching points he shared. Great stuff! Have you listened to any of Stephan Labossiere’s other performances before? How does this one compare? No this was my first time even hearing of him but I will certainly be on the lookout for other books of his. For Answers to your True Desire. This book really spoke to my situation .lovedit.great narration ,easy to get through.will listen again! Before reading the book, I knew the answer to my situation. Stephan reassured my direction. I knew that before I could have a relationship with a man, I needed a relationship with God. 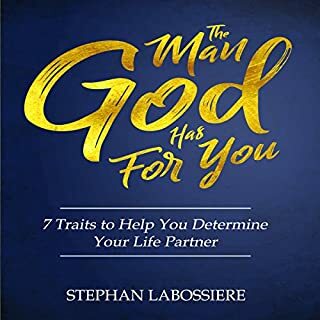 Stephan took it a step further and said, "Woman need to focus on what God has for them". To me that goes deeper than a man. That includes career, friendships, health, etc. Great advice! I believe he was lead by God to compose the book for woman and men. Men should know what to look for as well. It is good to hear the different persectives women has especially in the further insight sections. Enjoy the book and many blessing on your journey preparing for love. I really enjoyed this book. It really made me look at my individual actions and what I needed to do to prepare for my BOAZ! I'm excited about this journey!! There is alot to be learned from this book it helped me learn alot about myself. This book was a blessing. I listened to this book on a long ride home . It touched my soul. There was a point where I had to pause the book and cry and put some deep thought into how I was living my life. This book encourages a relationship with God. It also somewhat dispelled some of those good ol Christian myths about the story of Ruth and Boaz. This book provided great insight into challenges experienced by many. This is an excellent book for self-help and growth. If you have read his other book the man god has for you, it's the same message. So just one of these 2 books suffice. Absolutely easy to get through and understand. Thank you to the author for reading it! I've listened to all the books in this series and I love them. Enjoyed the book. A few things rang true for me, confronting but in a get up and sort yourself out kind of way. I recommend it. some good points, but too churchy for me. there are some good points to the book but overall it was a bit too churchy for me.